Travelling on your own is both an extraordinary achievement and a heart-warming privilege. Such mix emotions it brings to whoever commit themselves to explore the places of the world. For some, solo travelling is a different kind of magic almost everyone wants to have. So, if you’re setting off for solo travel, make sure to get beyond ready. Here are some of the simplest yet most effective tips you can pack with your things as you set yourself off for a solo trip. When you visit a certain country or region, engage yourself to experience their local festivals and public holidays. This won’t only make your travel worthier and more memorable one. But rather make it more meaningful. You can always allocate some time to research about the upcoming festivals and/or public holidays of the place you’ll be visiting. You’ll appreciate the place more if you also choose to experience their culture and socialise with the locals. This tip is something you might not want to exclude when you’re on the verge of planning your solo travel. It’s always important to know the top tourist destinations of the place you’re visiting. Preparing the list of places will make your travel easier. Because it’s always better to have an idea of the places to visit rather than having no clues at all. Don’t let your unpreparedness steal some time of your most-awaited vacation. It’s normal for people to have their own bucket list. And solo travelling can be one of the best ways to easily tick-off each on the list. Why? It’s because when you go solo travel, you’re free to choose a place, an activity, a route, and all – it’s like owning every moment. You get your freedom and you get all the authority over everything you want to do. So if there’s one thing to remember when you’re solo travelling, that’s to cherish the moment and take the opportunity to tick-off everything you can on your bucket list. To truly feel the vibe of any country or region you’re visiting, make sure to socialise and interact with the locals. That’s one of the best things to do to connect with the place itself and its culture. Also, talking and spending time with the locals can bring you more knowledge and wisdom. You’ll be able to learn their language even the basic ones, experience their lifestyle, know deeper about their culture and traditions, and understand their religion. You can freely exchange thoughts and all! To live like a local or feel like you’re one of the locals of the place you’re setting off to visit, try the available public transportation whenever possible. It’s for you to see and experience the place with your own eyes and efforts as well. There are a variety of public transportations you could choose from which is very beneficial and will definitely make it more accessible and convenient for tourist like you. In this way, you’ll certainly have more chance of discovering what the place has in store for you- more than what your eyes can see and your feet can walk on. Taking photos, writing on your journal, taping video clips, and collecting souvenirs are one of the best ways you can do to document your entire trip. Documenting your trip is not mandatory but highly suggested. For it really preserves the memories and the experiences very well. Can you imagine the joy of looking back to all the videos, photos, and all other mementoes of all your solo travel? Well, it’s completely amazing and flattering at the same time for sure. You know, you can’t just let such memorable moments pass by without collecting or capturing memories. Travelling on your own will be more eloquent if you choose to also study and learn about the culture of the place. You can always make advanced research or have ample time talking with the locals. Because this is another way you can expand your knowledge and understanding about other nationalities. It’s necessary that you make yourself well aware of such culture and traditions of the place so you could act and talk appropriately and carefully. With that, you’ll be more educated on how to respect not only the place and the people but the nationality in general. As a tourist or a simple visitor, it’s advisable that you roam around not just the place but also to look for the shops and markets available. This isn’t like a simple activity or tips to follow but an experience to really treasure. When you give time to exploring markets and shops, you’ll slowly realise that there are more souvenirs available rather than refrigerator magnets or keychains. It’s time for you to scoop and pile up something new from your travel and roaming around the place will totally be a big help. Aside from the ever famous refrigerator magnet and keychains, why not try to buy clothes, journals, pens, earrings, stamps, and more. There is one way you can get a chance to take a look at the past of the place you’re planning to visit. The local and/or the public libraries are considered as the best windows to take a quick peek of its history. A simple visit will make you understand the existing culture, traditions, belief, and behaviour of the local people in the place. It’s also one way you can show your respect not only in the current state of the place but also of their past. Beaches are one of the most sought-after destinations in most places. It doesn’t only offer relaxation but it’s one of the places that really welcome tourists in any part of the world. So, better bring your swimwear, swimming goggles, swimming caps, and sunscreen with you always. Not everyone knows how to swim but, almost everyone wants to showcase their beach-body and soak under the sun. Well, whether you’re a pro swimmer or not, it’s obvious how beaches and other water bodies can act as a magnet and easily attract people to come over and dip into the water. Are you now ready to catch the flight and begin your solo travel? 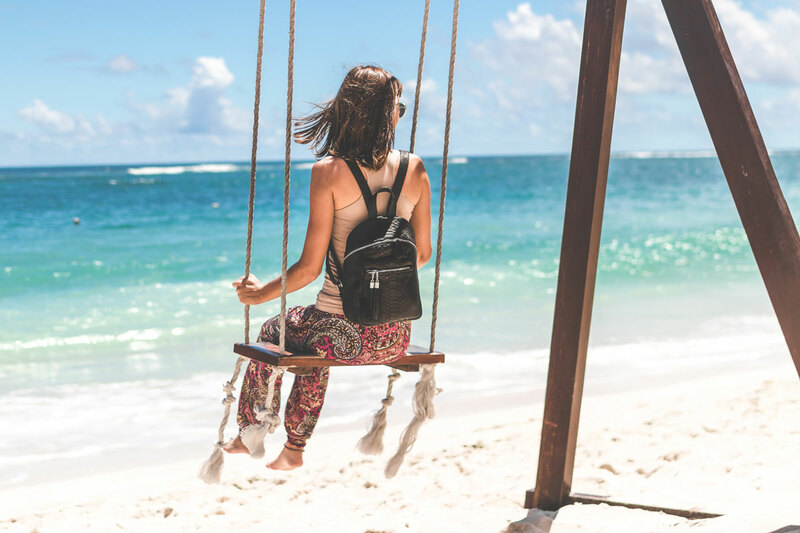 Well, now that you’ve read these tips, you can now say that you’ll definitely have the most memorable and unforgettable solo travel of your life. Just don’t forget to share your stories and let the world know the joy of solo travelling.